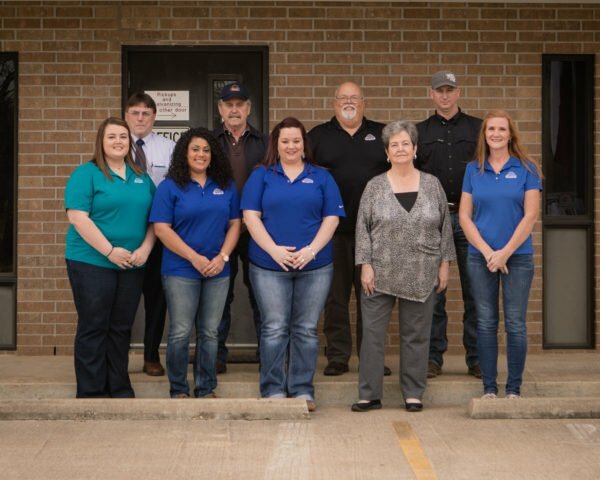 About Us – Hearne Steel Company, Inc. The company was founded in 1957 by brothers, Rubin and J.C. (Cannon) Amos with one employee manufacturing bands from a self-made machine for only Texas sales. The company now has over 60 employees and ships nationwide. 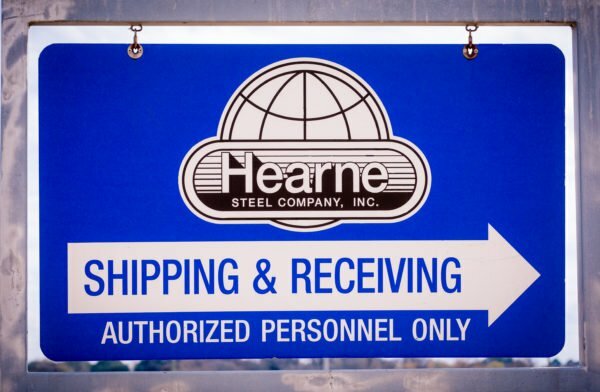 Of the 60 employees 15 have over 20 years of service and 14 have 10-20 years service, providing Hearne Steel with a stable, experienced work force. 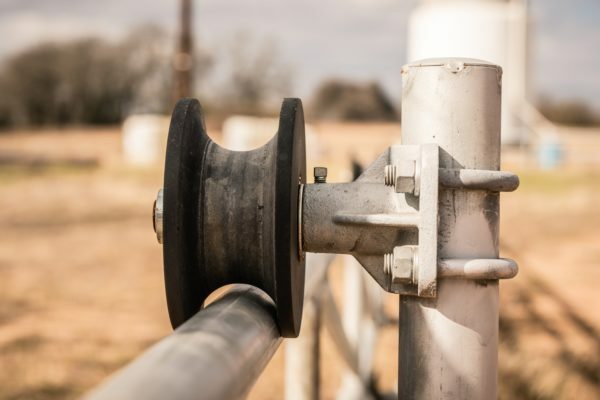 The decision to locate the business in Hearne, Texas was made because of its proximity to all major Texas cities within a 150-mile radius and the availability of good labor supply. During the 1960s’ land was bought and the first buildings were constructed which included an expansion in the product line from bands to other residential and industrial fence fittings. A galvanizing plant was added to further enhance the operations. The company has continued to expand into the 21st century with more efficient press operations, improved galvanizing procedures, in-house tool and die department and bar code labeling capabilities. 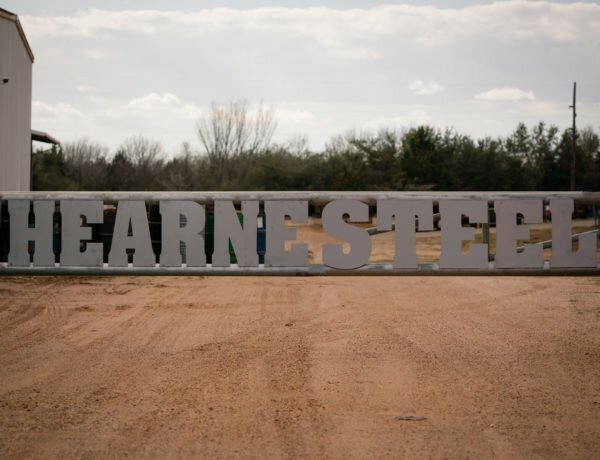 Plant facilities and office space now total approximately 100,000 square feet on 26 acres of land in the Hearne Industrial Park. Shop, welding, galvanizing, shipping, tool/die, maintenance and office. The shop department contains several 80-150 ton presses along with four-slide machines. The welding department completes products with mig wire welders. Welded products include barb arms, line tops, rail ends, scrolls, and hinges. The galvanizing department uses a spin batch process to apply the zinc coating to approximate 1.2 ounces of zinc. Custom orders requiring 1.5-2 ounces can be done as needed. The shipping department assembles, inspects, counts, applies bar codes as needed and packages into bags or boxes as needed. Products readied for shipment are placed on wooden pallets and secured by plastic shrink-wrap. The tool/die department enables the company to be flexible in meeting customer needs for specialty items. The maintenance department supports all departments to keep operations running smoothly. The office is composed of sales, purchasing, production, product development and accounting/financial. Connie Ricks, Corporate Secretary (retired) – joined the company in 1982, and was responsible for financial operations and corporate records. Connie’s duties encompassed accounts receivable, collections, and credit evaluations along with accounts payable and payroll. Connie retired from Hearne Steel in 2015.